Every year, the number of people and business who use landlines drops drastically. More than 90% of households had landlines according to a study held by the Centers of Disease Control and Prevention in 2004; today, less than 50% of American homes have landlines. That number has been dropping an average of 3.6% every year since 2010. This isn’t because there’s anything wrong with landlines or that its quality has worsened - people have used landlines to communicate for business and pleasure for decades! Instead, this is because newer technologies have overtaken the market, offering traditional features as well as an array of state-of-the-art features for a fraction of the cost. It’s not a failure of landlines, per se. It’s just that they are becoming an endangered species, much like Walkmans, VCRs, and other technologic relics before it. People are choosing to abandon their traditional service for newer technologies so that they can take advantage of everything the newer systems offer. VoIP is one of the main technologies that has replaced landlines for most people. Continue reading to see if replacing your landline with VoIP is right for your home or business. VoIP, or Voice-over Internet Protocol, is actually quite a developed technology that has been around for over 40 years. The American government developed it in 1973 as an experiment, though it wasn’t commercially available to the public till about twenty years later. The technology uses the internet to transmit your voice to the person on the other end and isn’t dependent on a physical wire like traditional phones do. How is VoIP cheaper than traditional lines? One, when you sign up for a traditional landline, there’s usually a minimum monthly charge. It doesn’t matter whether you even make a phone call or not. That, paired with the fact you usually have to sign an outrageous one, two, or sometimes even three year contract, can really add up the costs at the end of it all. Second, if you make a lot of international costs on a traditional line, chances are your monthly phone bill is sky high. This is because traditional lines use public switched telephone networks and the cost-per-minute is usually on the steep side. Because VoIP processes calls over the internet or private data network lines instead of conventional commercial telecommunication lines, long-distance phones calls are inexpensive. Can I ONLY call other VoIP users? Absolutely not! The person on the other end of your call does not have to be hooked to the internet. You can make and receive calls with any person, no matter if they are using VoIP, traditional landlines, or a cell phone. 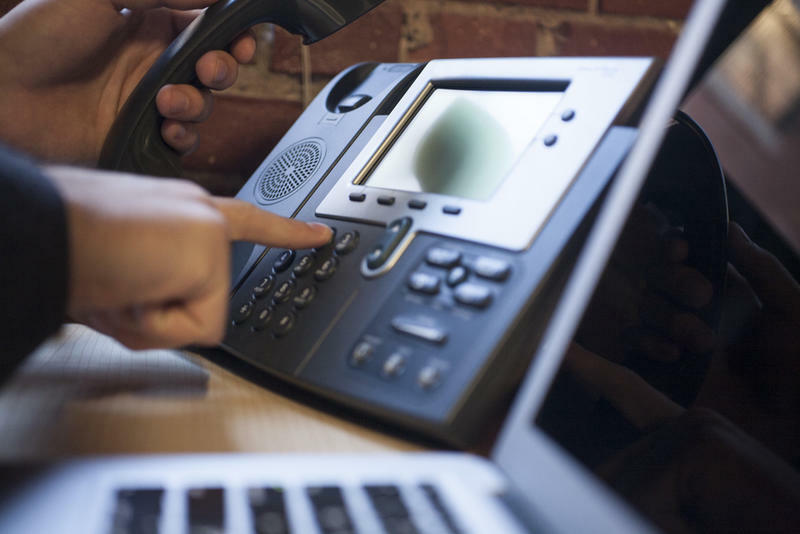 What are some of the features VoIP offers that traditional phone systems do not? With a landline, you can mainly use voice and fax services - though, let’s be clear, almost no one uses fax anymore. But the act of communicating with others has transformed to so much more than just dialing numbers and making a voice call. Today, people want to see people’s availability (whether they’re online, offline, etc. ), they want to send instant messages, make video calls, transfer images, and so much more - and with VoIP technology, you can do just that. Another important feature which makes VoIP a better option than a landline is the fact that a dedicated landline cannot be moved easily. If you change homes or offices, there’s usually a process of disconnecting your line and updating it at the new location. VoIP gives you mobility. You can use the same device, with the same phone number, also anywhere as long as there is proper IP connectivity. With all these benefits, the main one being the cost savings, it’s no wonder why people are ditching their landlines and moving on to other alternatives. Will you be joining them?